The recent referendum vote held in the United Kingdom saw a 52% majority of its citizens elect to leave the European Union (EU). This has come as a shock to many, since none of the EU’s current 28 member countries have opted to leave since the signing of the Treaty of Rome in 1957 establishing the European Economic Community. According to Cameron, The UK will invoke Article 50 of the Lisbon Treaty once his successor is in office. Triggering Article 50 involves a government officially notifying the EU of it’s intent to leave. This would then begin the two-year negotiating period regarding the terms of exit, which must be approved by the European Parliament and a qualified majority of 20 of the remaining 27 EU members. During these negotiations, Britain would not be allowed involvement in any EU discussion regarding its exit but would still participate in other EU business as before. An upside to such a scenario would be continued lower interest rates, which will make borrowing for both consumers and companies less expensive. This has already been evident with rates decreasing following the Brexit vote. Furthermore, American consumers typically don’t spend if the market looks uncertain. If American consumers don’t spend, the US economy doesn’t grow. If the US economy does not grow, it tends to have negative repercussions on the rest of the world. 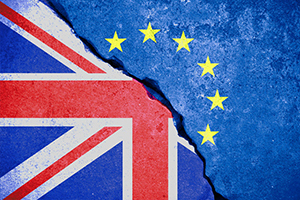 Don’t miss the second installment of this blog later this week, where Brexit implications for the tech industry and accounting practices will be covered.